Findings: Displaced fracture of the proximal aspect of the right 1st rib (a) with inferior displacement of the distal portion. 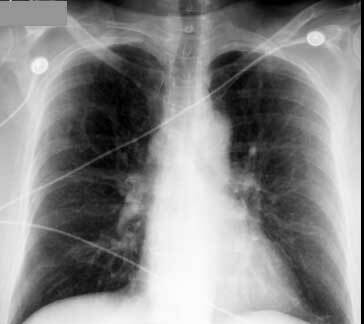 Less apparent, non-displaced fractures of the proximal left 1st rib (b) and right 2nd rib (c) as well. Artifact (d) from ribs overlying the transverse processes of T2. Transverse process of T1 (tp T1).